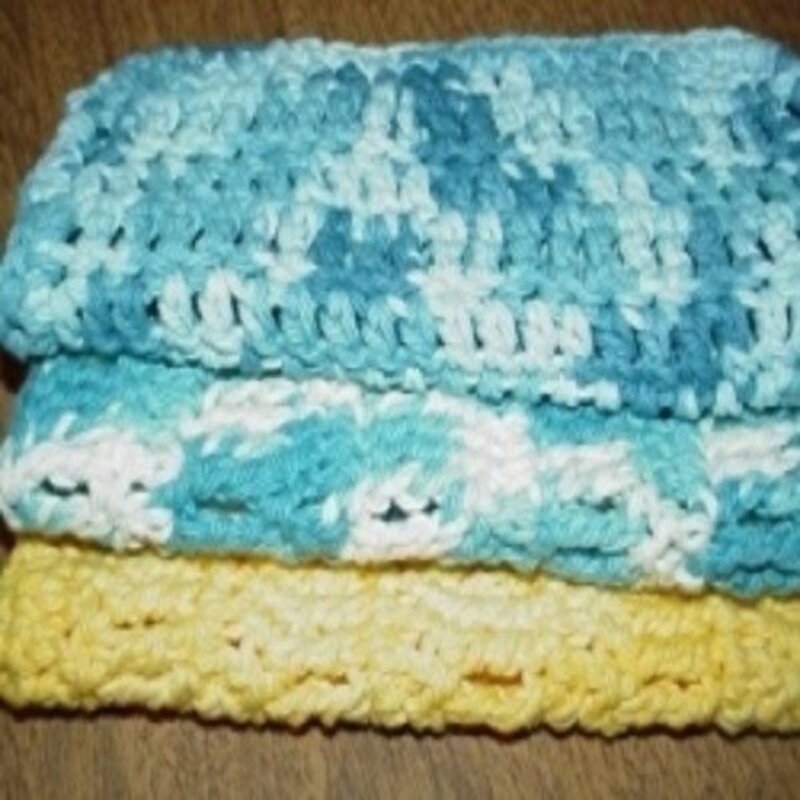 Make sure to crochet both the front and the back loops. 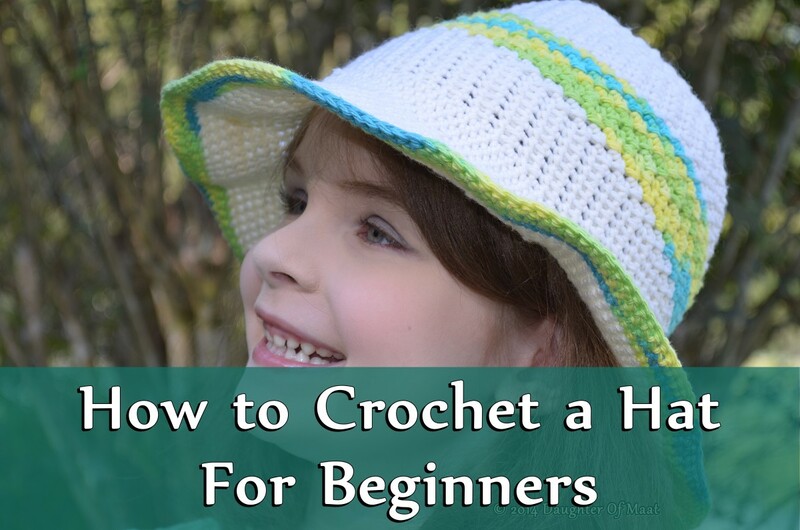 The most common mistake made by beginners is to only crochet using the front loop. 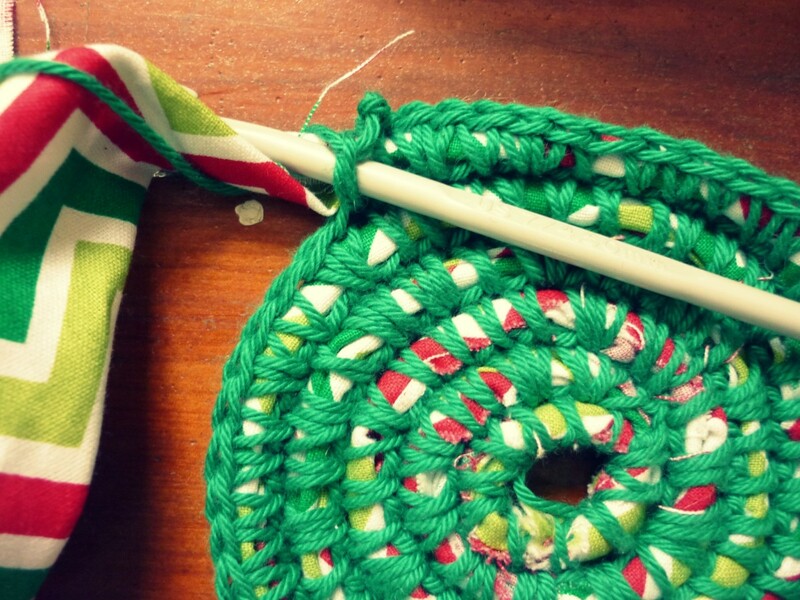 People can do this for years without realizing it, having no idea why their crochet projects don't look right. It’s especially hard to notice if you only make scarves or one-stitch projects, but the mistake becomes obvious when doing amigurumi (stuffed animals made by crochet), granny squares, or more complex patterns. Things just won't line up, and the project turns out larger than expected. Once you fix the problem, you will also realize that the stitches themselves look different. 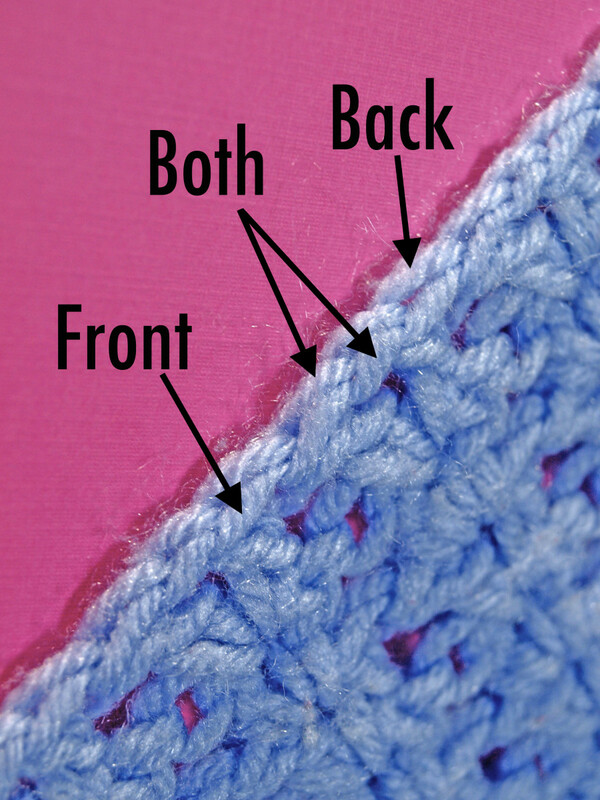 If the front of your crochet projects looks slightly different from the back, you probably are using only one loop. The image above points out the front and back loops. You need to pick up both of these on every stitch. 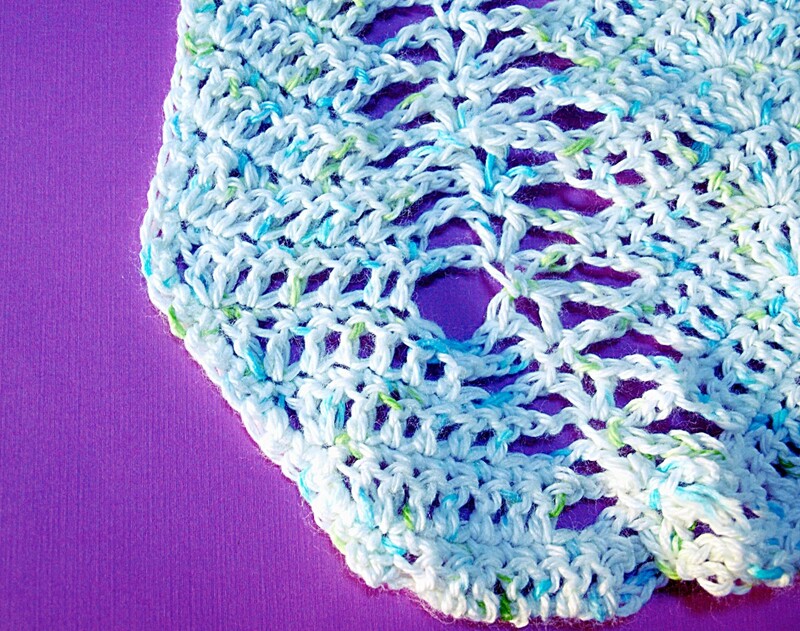 Stick your hook in under both and you've fixed the most common beginner crochet mistake. Now, some patterns say to only use one loop, and that's just fine. Those patterns account for the extra give and the look of front-loop crochet. Crochet Troubleshooting: “Why is My Crochet Blanket Getting Wider?" Does your crochet look like this? Single crochets start in the first stitch of the row, directly next to the chain. Double crochets start in the second stitch of the row, one stitch between it and the chain. I know counting your stitches can be really tedious, but count the number of stitches you made in the first row, and then when you hit that number on the second row, stop and turn. If the edge is still uneven, that means you’re likely starting in the wrong stitch. Review rules one and two. Eventually you won't have to count so carefully, but it takes a while to get a feel for when to stop. Remind yourself that the yarn cannot run away. Practice building self-esteem. The project will work. You are a good crocheter. Take a deep breath and count to five. If you have to loosen your grip to allow the yarn through for the next stitch, you are holding on too tightly. If your hands ache after only a few minutes, you are holding on too tightly. LET IT GO. The yarn tends to unfold as it should. 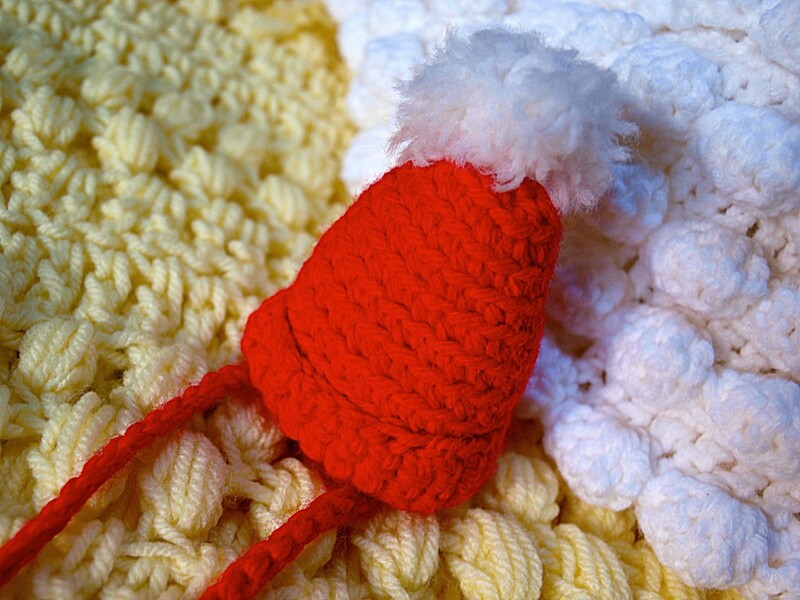 Crochet Troubleshooting: Is Your Amigurumi Inside Out? 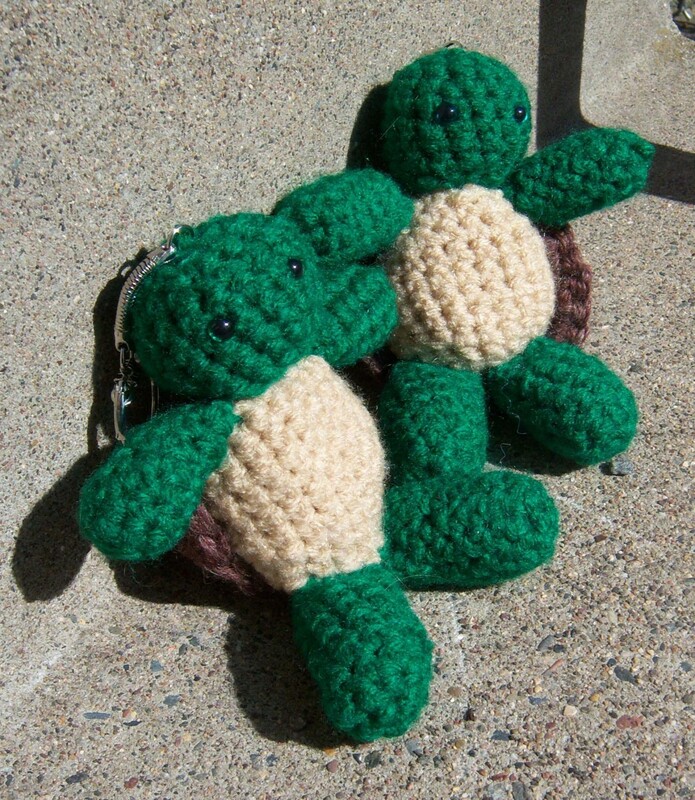 For those who don't know, amigurumi refers to stuffed animals or objects made by crochet. This mistake is the most difficult to diagnose but the easiest to fix. Fixing it only takes a second and doesn't require ripping out any stitches. If your finished project looks too blocky, or the rows are too pronounced, or something about your stitches just doesn’t look right, then it’s possible your amigurumi could be inside out. First, rule out the single-loop problem discussed above and then try flipping the amigurumi and see if it looks better. If you switched directions halfway through, either live with it, or rip out the part after the switch. Sorry. Check whether your crocheting instructions come from the US or the UK, as the terminology differs slightly. For instance, the term “double crochet” means something different to crocheters in the UK than it does to crocheters in the US. Check out the table below to see the UK equivalent to US stitching terms. Easy 10 second registration - then ask away! It's 50 chains, 1 row of double crochets where 2 go in one loop, then 1 un the Next, etc. Next row the same. This should be the neck of the sweater. Around half of first row of double crochets, it becomes a full circle (instead of half) so by the time I have the full row and I try to see how it will look like, you can clearly see curls. It worsens with the second row. Sharon and Carolyn....you are making your beginning chain too tight. It needs to be much looser than you think it should be. If it's consistently peaking too soon or too late, add or subtract a stitch at the start. I am working on a ripple stitch blanket . Everything is fine until I switch color and then, even though I'm counting the stitches, the places where it dips and peaks don't line up any more. Not sure what I'm doing wrong? Hi. Just recently taught myself to crochet. My edges r curling a bit on one side. Y? CAn I just dampen it cix? Wonderful site. I will be using it often...Thank you. My Corchet pattern say from 13 and next 8 uneven rounds work as round 11 having 1ch more between shells than on previous uneven rnd- 10ch staying between shells on 29 rnd.any one can help me out. I am on my fourth row and I keep having to straighten out my blanket. It keep twirling up. It's not straight. Not sure what is happening?? My solid granny square is coming out with sides that aren't straight. They are curved. I make sure to go through both loops. I'm using half double (US) stitches. Not sure what I am doing wrong. Mariane, if you want your project smaller, use a smaller hook. Bigger, use a bigger hook. My finished product always turns out bigger than expected how can I make them smaller, do I use a larger hook or a smaller hook? Thank you very much for the useful and user friendly tips. Kudos. Keeping up. Thank you very much for the wonderful suggestions. O have been crocheting since I was about 7 years old. My grandmother said all southern girls should know how to do these things. 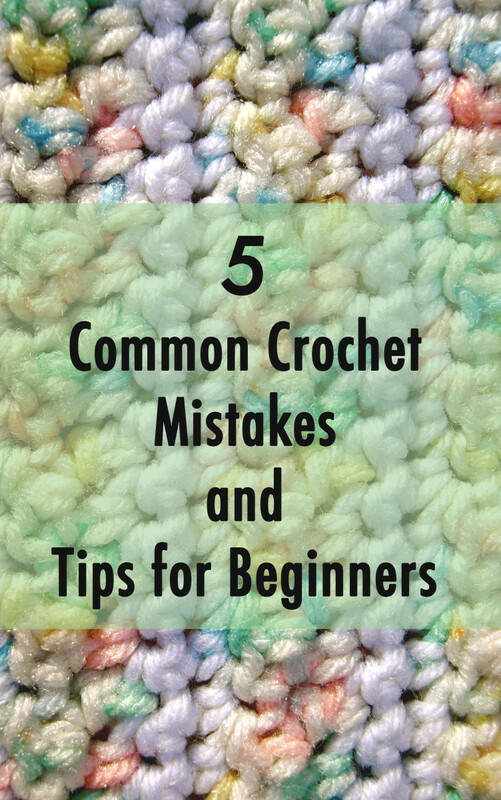 The 5 tips on crochet mistakes really are helpful. instead of getting wider, my scarves get narrower, i keep loosing stitches. 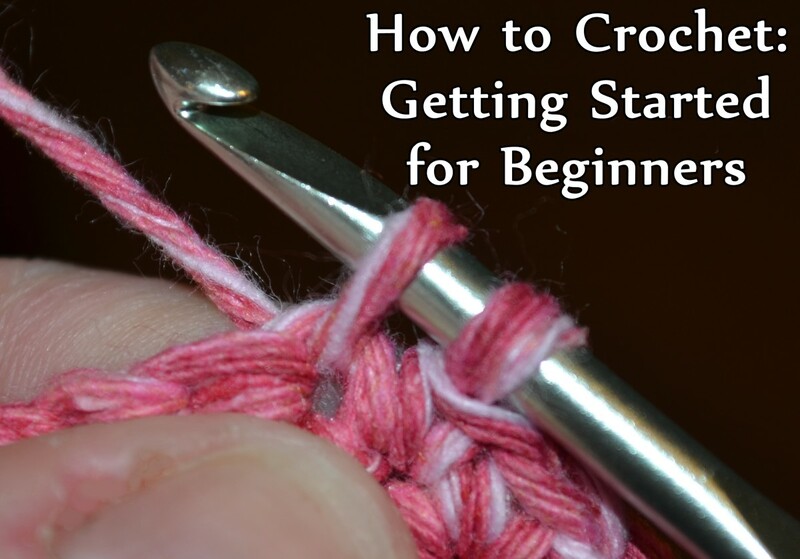 I found this beginners crochet article helpful, if I want to get my project done quickly I sometimes go through only one layer and more importantly, I think I'm going to start counting stitches across because alot of my work still turns out like triangles and not 90o squares. Thanks for the useful tips for a relaxing and enjoyable craft. Thank you for all the great tips. I’m definitely pinning this! Thank you so much this post was actually very helpful to me. I am new to crochet about one year in and I needed to read this! Thank you for the needed info and also the encouragement. Happens all the time to me too Sharon. Would love tips to avoid this! I crocheted teddy but i ve done it to loose ,but now its all sewn up . Wish i could close up the holes abit. Any hits. My circle crochet is turning inwards , do I need to increase a stitch somewhere???? I am beginner. Thanks for your information because I made 2 mistake: too tight and chroceting only front loop. But for the next project I believe I will get a great result! I have started crocheting a double stich blanket and it has started to go wonky, it has started going away from its original row length making it go in towards the middle of the project. This was helpful, thanks for the tips!! I am always interested in the new ideas and suggestions on crocheting. Making booties for the first time. It just doesn't look right. Maybe I just should not be trying this. How do I know when I am at the end of a row so I can stay straight and be slantedand? What to do, when i do the usual 6 row granny square double size (12 row) and it goes wavy? Are the stitches somewhere too loose or too tight? Another great hub! You have a great way of explaining the creative process. Hi, I just finished a baby blanket with lots of color changes. I'm worried that I can feel the knots. Am I being overly sensitive to that or is that a big problem? My sis-in-law is a pretty good crocheter, but her afghan kept getting smaller. She asked my mom, a great chrocheter, for advice. The pattern had an error. Mom fixed the problem. So don't always blame yourself. Mistakes are made by everyone, even those who print patterns. Happy crocheting! PS Is crocheter a word?! Veneta and Anne- if it's actually shrinking as you go, it's the trapezoid problem in reverse. If it is just ending up too small when you finish, you're likely holding too tightly (makes smaller stitches) or using the wrong gauge of hook. The pattern should size it for you. If it doesn't, trial and error or find a new pattern. But if you KNOW your stitches tend small, just size up the hook. Just to chime in after viewing a few vids it is obvious that a class is needed. It is something I just can't pick up without an instruction in person. Thanks for the heads up. Very useful tips. Thank you. Can you please guide me on how to take correct measurements when crocheting a top. Though I take the stitches according to the body measurements and the stitches seem right in the beginning but by the time I am half way through my project the top looks smaller. Where am I going wrong with the stitches. Please advise. Thank you. I am a beginner and trying to make a blanket. Some of my rows will be on a bit of an angle like / and when I fold my blanket in half lengthwise the ends don't meet. One end will but the other is off on an angle as well. What am I doing wrong? Any suggestions would be greatly appreciated. The diagram showing both loops is not pointing to the correct two loops. One arrow needs to be moved. Hi Karen- yes, both loops at all times! And if you are getting ripples Kristina, you may just need to block it. Google "how to block crochet." So in understanding these mistakes. My question is this: Unless indicated to only pick up up in back loop, always stitch through both loops on each piece we work on?? Am I right or wrong on this. Some directions do not come with specific directions. I am working on a new project, does not indicate to me which loop to use. Back loop or both. I'm a beginner again. Thank you for this! I've been making many of these errors for ages, especially #1. This is a great find! I'm going shopping for yarn tomorrow to start learning to crochet from a book I've had for years. All this probably isn't in there. Thanks. Thank you very much, I was never able find my mistakes. I love this! I've only been crocheting for a few months now and have been watching for common mistakes as I go. I do have a question, though. 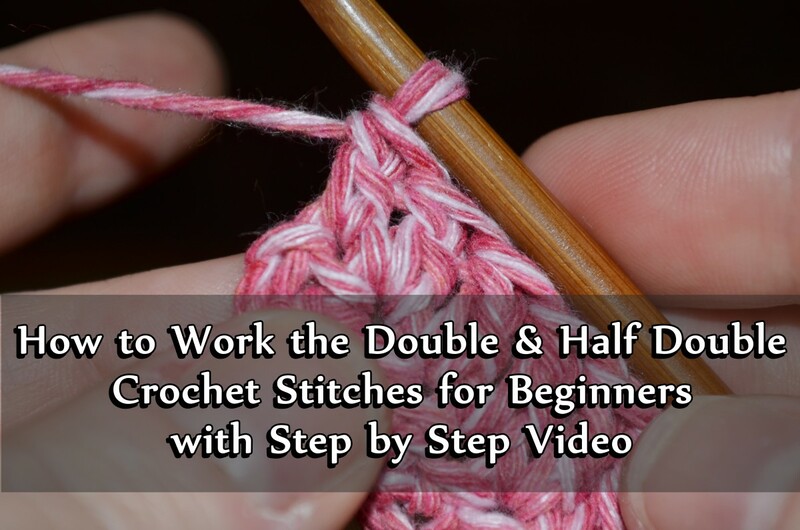 Is there a different term for half double crochet? 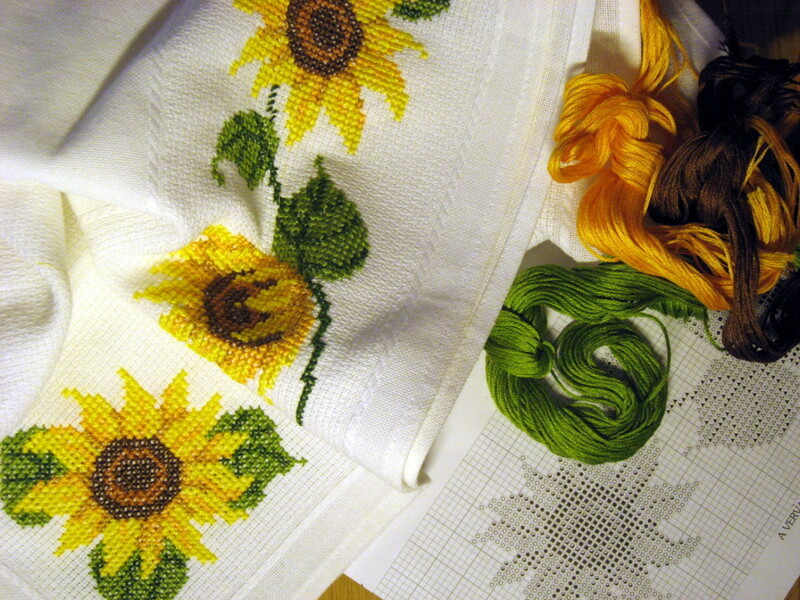 It is my most used stitch and I wouldn't want to mix it up in a pattern for a different stitch. After making the UK/USA terms mistake I now always check patterns now for reference to single crochet. Not a mistake you want to realise halfway through a project! Thanks for the article. I mostly knit, but I do enjoy crocheting on occasion. It's a nice break. Thank you for your great tips! Another easy solution to the overly tight stitches would simply be to use a larger hook. 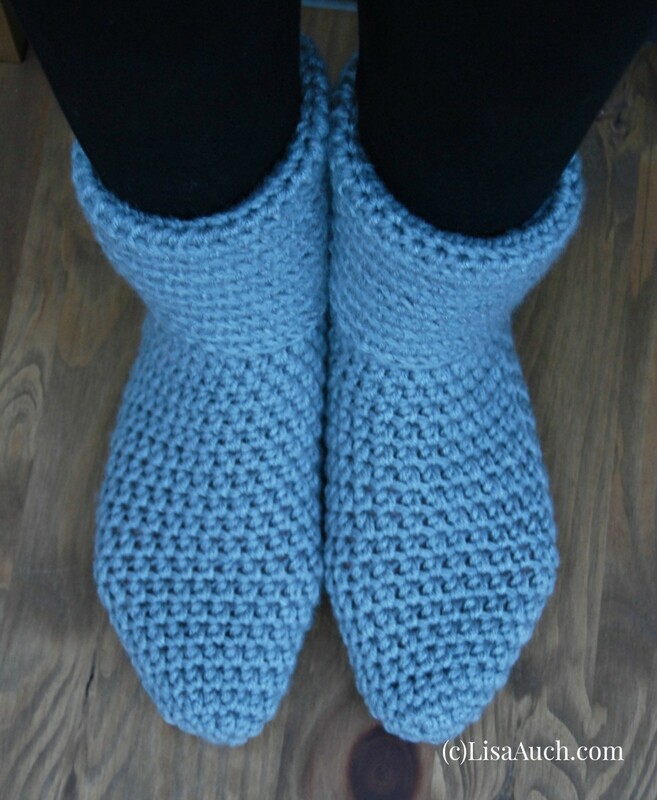 I have to admit that I have been crocheting for years but never knew these problems. Thanks for bringing these to my awareness. Amber- if you notice it getting flat, skip a stitch. This was helpful. I do still have a question, though. Every hat I've ever attempted to make ends up with a flat top. I've tried many different patterns, and every time the top is flat and then then sides seem to go straight down. How do I keep the hat round? Now I have a new understanding... I will go back to my current project and see if I can find when and where I went wrong. I am still hoping to find someone in my locate area to look at me work and help me see where I need to make changes/improvements. Thank you for your trouble-shooting instructions. Thank you so much for this! I m from Argentina and I have been looking for some crochet advices but here the magazines and books are really basics. Some beautiful photos and good instruction. My amigurumis always look wonky. Now I know why! Thank you! 13 months/762 pins and I'm just now finding this? Thanks! I'm with Torrilynn, I hope to get back to crocheting. When I do, this will be a huge help. So much to remember, so without a guide like yours I think I would be lost and frustrated. thanks for the article. I hope to one day to get back into the work of crotcheting. Thank you so much! I was confused as to why my work either got bigger or smaller and couldn't figure out why some patterns call for crocheting in the first stitch vs the second. And the difference between UK and US crochet terms - drat! Why can't we have a universal language of crocheters! =D Thanks again for putting that together! Great article. I was making the mistake of crocheting in the front loop only until I realized that you could crochet in the front or back loop only to make specific designs. Thanks for your wonderful work, it's a real help to any beginner. One of my biggest mistakes was that I didn't want to use row markers. Very great article on crochet! I must admit, I think I did most of them. It took more than 10 years to correct. LOL! I agree with Mama Kim 8. This article covers the most common mistakes for beginners. My first 'big' project, a placemat, looked like a rhombus because I wasn't counting right. Voted 'up' and 'useful'!